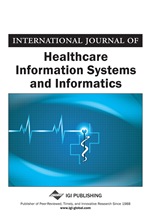 The current status of policies, guidelines and standards related to the organizational context of clinical telehealth practice were investigated. The directions these should take to meet the healthcare needs of Canadians also were outlined. An environmental scan approach was employed, consisting of a literature review, stakeholder survey questionnaire, and 12 key informant interviews. The literature review resulted in 260 sources related to organizational leadership issues, of which 176 were abstracted. The stakeholder survey questionnaire response rate was 64% (156/245), with 55% (84/154) completing the organizational context section. All (100%) key informants who were selected for interviews participated. Findings were categorized into four key organizational themes: organizational readiness, quality assurance, accountability, and continuity. Organizations need to review existing policies, standards, and guidelines in order to determine whether telehealth is covered and, if not, revise them or develop new telehealthspecific policies. Telehealth policies and procedures should be integrated with those in existence for face-to-face services.